The holiday season may be joyous, but it’s also a wasteful time of year. According to the U.S. Centers for Disease Control and Prevention, Americans throw away 25 percent more trash during between Thanksgiving and New Year’s Day than any other time of year. 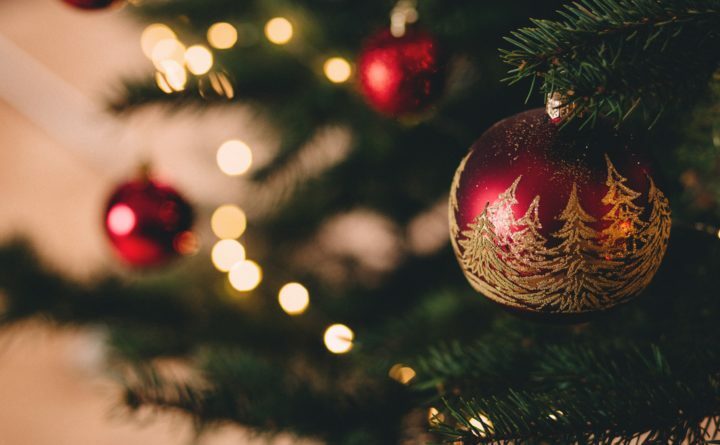 A few conscious choices in the holiday planning process can help reduce the holiday season waste from wrapping paper and food to the energy used by Christmas lights. This season of giving, consider giving back to Mother Earth with these simple ways to reduce your ecological impact during the holidays. An estimated 2.65 billion Christmas cards are sent around the U.S. every year. Some of them may be saved and cherished, but most of them will end up in a landfill. At the risk of sounding “Scroogish,” Robert Lilienfeld, sustainability consultant and former editor of Use Less Stuff, says that from an environmental standpoint you’re better off sending e-cards. “It’s hard for me to say that because cards are so much more personal,” Lilienfeld admits. If you have your heart set on handwritten cards, Lilienfeld recommends “being judicious in who you send cards to” and buying cards made from recycled paper. There are conflicting reports as to whether a natural Christmas tree or an artificial Christmas tree is better for the environment. Though artificial Christmas can be reused, they are largely made in overseas factories from nonrenewable materials like plastic. A study carried out on behalf of the American Christmas Tree Association, a trade group that represents the artificial Christmas tree industry, determined that the environmental impacts of the artificial tree are less than that of real Christmas trees after about five years of reuse, but critics say its parameters for evaluating the environmental impact of fake trees were too narrow, without enough consideration for the preservation of wildlife, habitat and farmland. If you want a natural tree, buy local to reduce shipping costs and plan to recycle the tree after the holiday season. After the holidays are over, bring your tree to a local landscaping facility or a tree take-back program they are offered in your municipality so it can be recycled into mulch for trails, paths, and walkways. You can even buy a potted live tree with a root ball to plant it in your yard after the holidays. How will you light that tree? If you are thinking of dragging out the same strands you’ve used for years (or you don’t have any yet), consider a different option. You can also consider stringing your tree with popcorn, pompoms or cranberries instead of lights to save extra energy. If you are decking the halls with artificial materials, make sure your decorations are reusable. Siepierski recommends checking your local thrift store for decorations. You can also make your own Christmas ornaments to reduce your impact on the environment. “I think the biggest thing is shop local,” Lynea Baudino, program coordinator at the Ecology Center in Berkeley, California, says. Instead of ordering gifts online, shop locally to reduce the environmental costs of packaging and shipping (also, your dollars matter more to small local businesses). Also, don’t be hemmed in by tradition. Your gifts can have their own sustainable flair too. Consider buying your gifts used, or shopping for specifically eco-friendly products. You can also opt to make your own gifts for friends and family members, or eschew material gifts entirely in favor of an experience (a ticket to a concert, or a certificate for a spa package) or a donation to a nonprofit organization in your loved one’s name. Another great way to green your giving is to buy sustainability themed gifts for your loved ones, like steel straws, mesh produce bags, reusable water bottles and reusable Bee’s Wrap. When shopping for gifts, try to plan all your shopping for one day to reduce the environment cost of driving for multiple shopping trips. And, as always, be sure to bring your reusable shopping bags. Ever year, thousands of tons of wrapping paper are used during the holiday season. According to “The Recycler’s Handbook” by the EarthWorks Group, half of the paper America consumes is used to wrap and decorate consumer products; Hallmark estimates that Americans spend $3.2 billion every year on gift wrap. On top of that, most Christmas wrapping paper is not recyclable because it dyed and laminated. Make an effort to buy eco-friendly and recyclable wrapping paper. You can also make simple gift wrap from recycled paper grocery bags, newspaper or even old maps. Even better, pack gifts in reusable gift bags that be used year after year. If you have saved ribbons from last year’s holiday gift giving, consider reusing them as well. The U.S. CDC estimates that if every family reused just 2 feet of holiday ribbon, the 38,000 miles of ribbon saved could tie a bow around the entire planet. Food waste is endemic during the holidays. “We have a tendency during the holidays to over-serve,” Lilienfeld says. An easy way to cut back on food waste is to serve your holiday feast buffet-style. “Ask people to take only what they think they can eat,” he says. “What gets left on a plate is garbage; what gets left on the table on platters is leftovers.” You can even send your guests home with leftovers in reusable containers. Plan and portion your meals carefully ahead of time. Make an extra effort to shop for local ingredients to reduce carbon cost of shipped food, and opt for more vegetarian and vegan options that are grown from less carbon than their carnivorous counterparts. If you must have meat, buy local (and, hopefully, organic) when you can. You can keep the holidays cozy without wasting a ton of energy. Close your curtains at night to keep heat from escaping through drafty windows. Consider lowering your thermostat a few degrees when your house is filled with your guests, or turning it down to your base level if you plan to travel during the holidays. Many folks will travel to see loved ones this holiday season. According to the Bureau of Transportation Statistics, the average Christmas or New Year’s long-distance trip is 275 miles long. “If you have to fly, you can think about purchasing carbon offsets for your flight,” Hamilton recommends. If you are going out of town for the holidays, be sure to turn off lights, turn your thermostat down and set your holiday lights on timers while you are gone. The holidays are a great time to make extra efforts towards sustainability, but the best gift you can give to the planet is to keep up the efforts after the holidays wrap up.